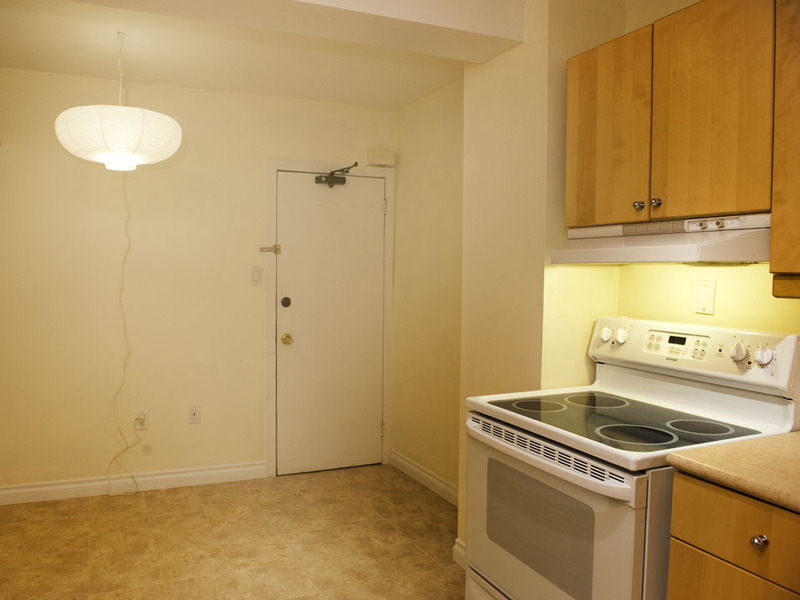 This basement bachelor apartment features a private eat-in kitchen with lots of storage and counter space. There's even a built-in writing desk. The upscale Ikea cabinets have undercounter lighting, and there's a cabinet with frosted glass doors. (Colourful plastic drinking glasses from Honest Ed's look terrific in these). 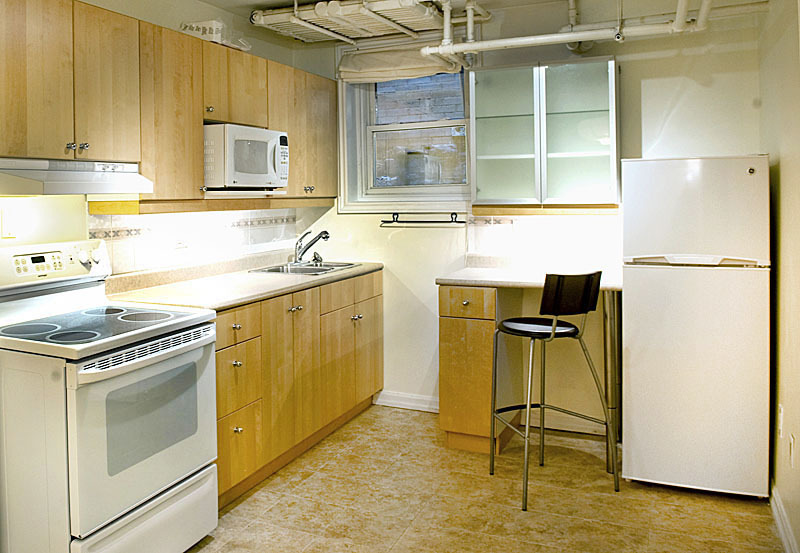 Modern appliances include a smooth-top range, full-sized fridge and a microwave oven. The exhaust fan has a variable speed fan and is quieter than most. Track lights are fitted with energy-efficient dimmable LED bulbs. There's a double sink with a pull-out sprayer faucet. 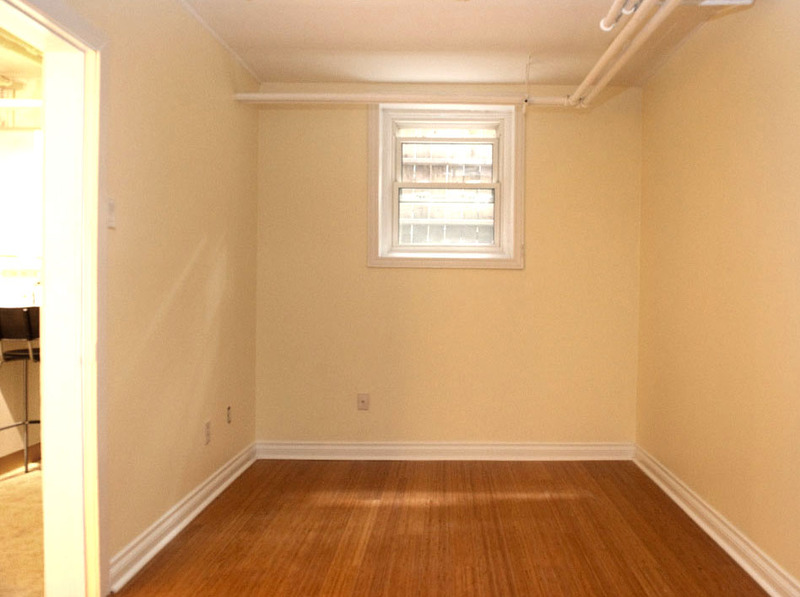 The apartment has full-height (8') ceilings and three double-hung operating thermal windows. The flooring in the bedroom is bamboo laminate. 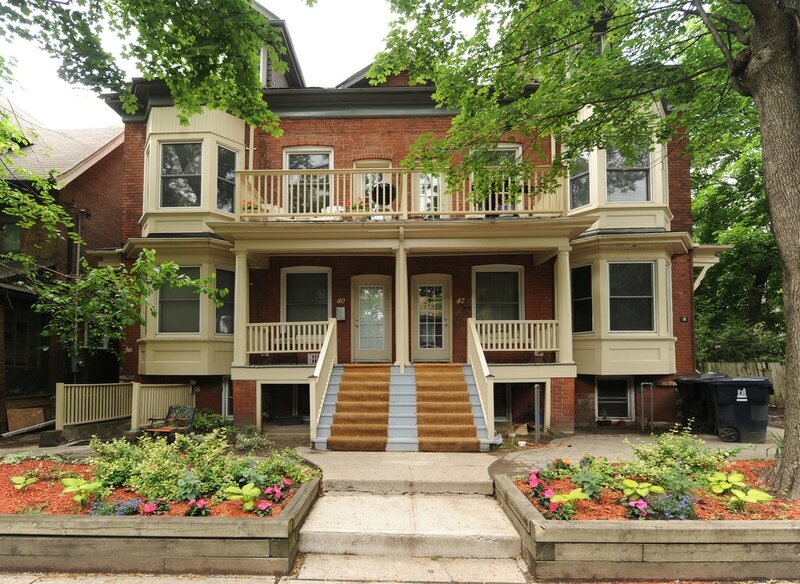 Four tenants share two washrooms. 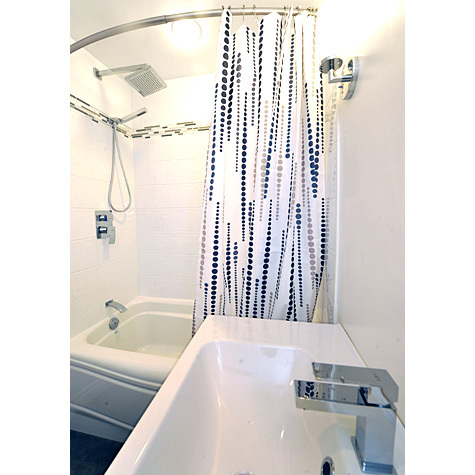 This one has been recently renovated and features a deep acrylic soaker tub, a rainshower shower head and a thermostatic ("no scald") shower mixer. The tile flooring is heated. 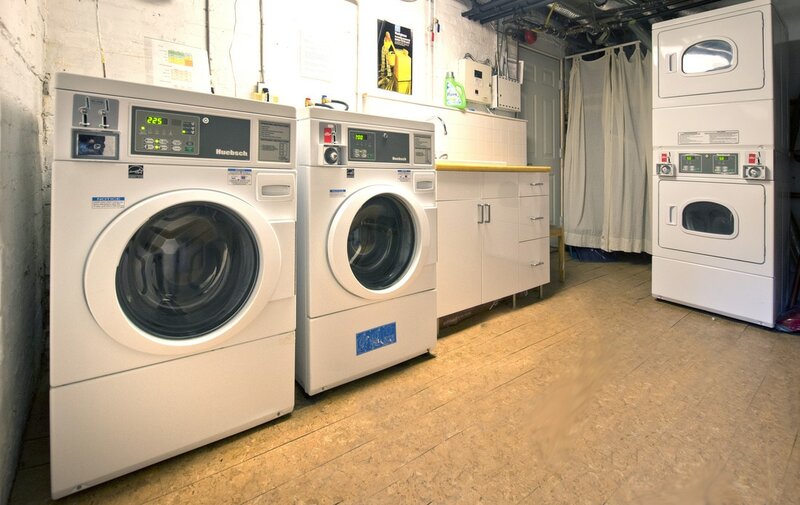 The onsite laundry room features two commercial grade large capacity frontload washers with matching dryers. Washers vend for $2.00 and most loads will dry for $1.50. Tenants are required to carry "tenant insurance" at their own expense (typically $15 to $20 per month).